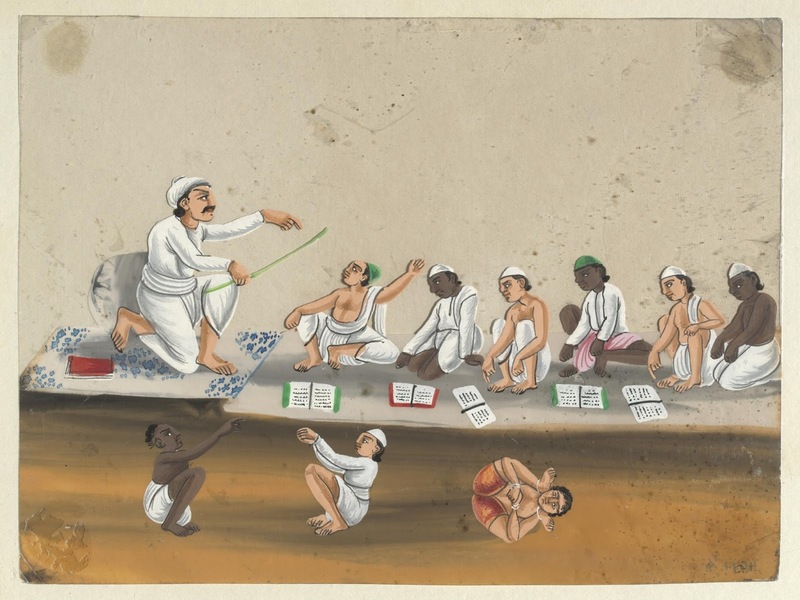 A Hindu school exhibiting native punishments. 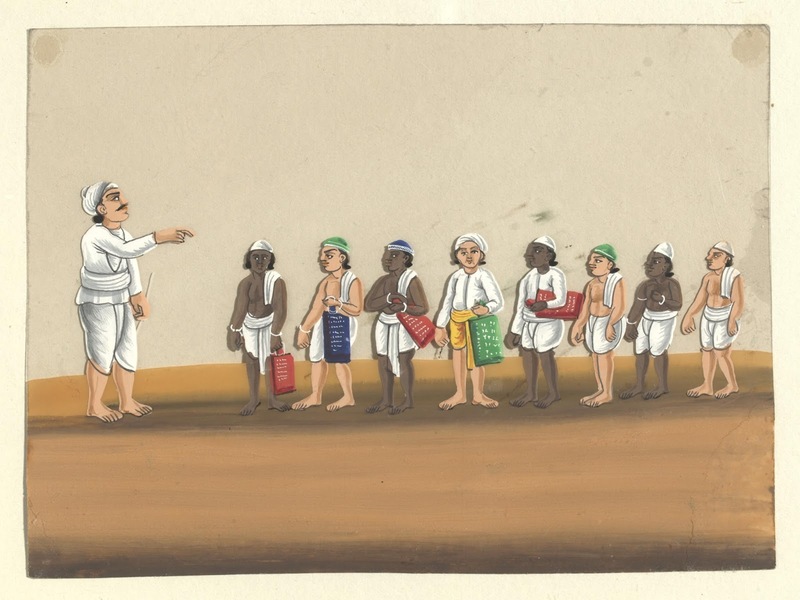 Benares, circa 1860. Artist unknown. Gouache on mica (14cm x 19 cm). South & South East Asia Collection, Victoria and Albert Museum, 4674:7/(IS). Since writing the article Postural Punishments in Indian Schools,1 I have recently come across a series of eleven paintings depicting schools in 19th-century India held in the South & South East Asia Collection at the Victoria and Albert Museum. 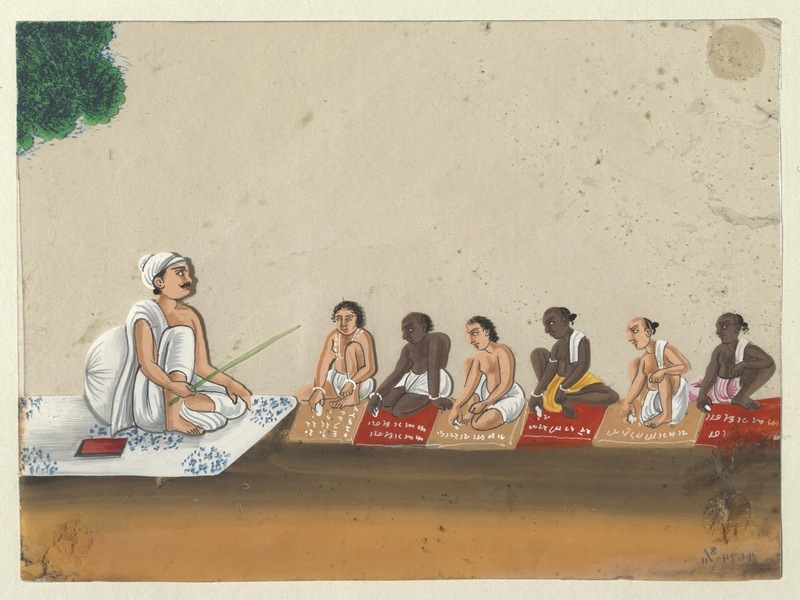 In this series, the painting entitled 'A Hindu school exhibiting native punishments' contains naturalistic representations of a school teacher (likely a guru-mahashay) and nine children. 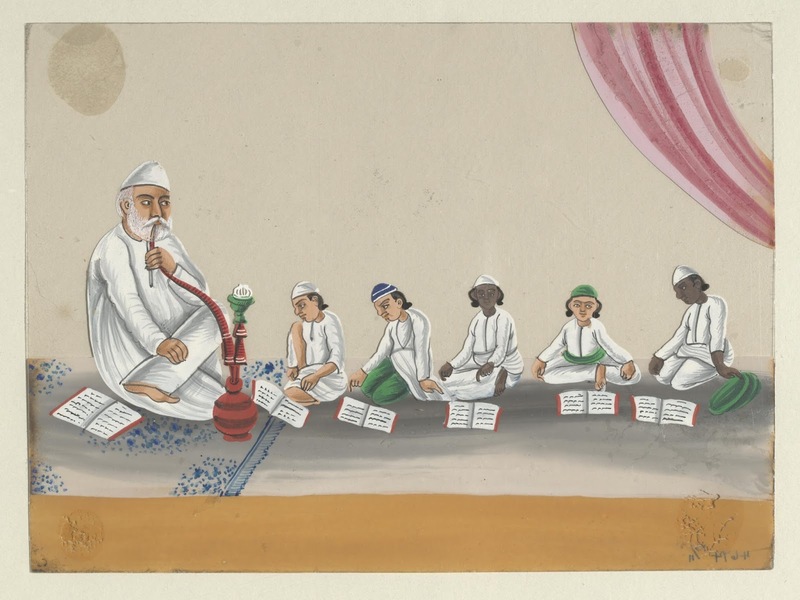 The guru is wielding a stick (daṇḍa) while six male students, wearing white and green skullcaps, sit on a raised platform. They appear to be listening and studying from their books. One of the boys has his hand raised as if wanting to ask a question. 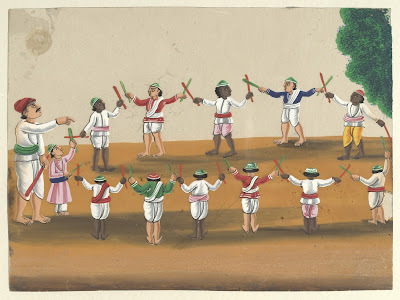 In the foreground of the painting, three more boys are illustrated: one is squatting while pointing his finger at something, another is squatting with his wrists tied in front, and another boy is reclining on his back with his arms bound in front of his legs and his legs bound behind his head. 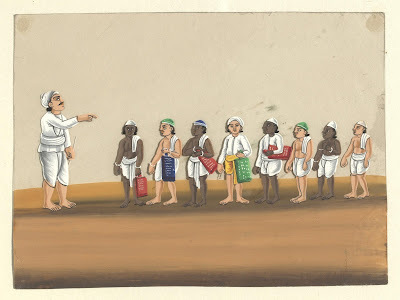 The inscription on the back of the painting reveals that this is a "Native Hindu school exhibiting native punishments". Detail of the bound postural punishment. The remaining ten paintings in this intriguing series are featured below. Benares, circa 1860.Gouache on mica (14cm x 19 cm). South & South East Asia Collection, Victoria and Albert Museum, 4674:9/(IS). 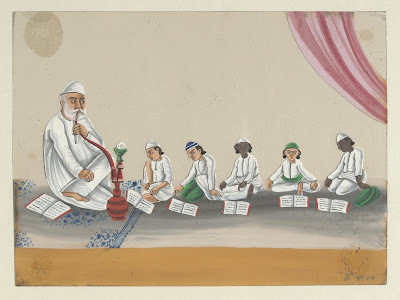 A Muslim school - the teacher smoking a huqqa. South & South East Asia Collection, Victoria and Albert Museum, 4674:10/(IS). South & South East Asia Collection, Victoria and Albert Museum, 4674:6/(IS). 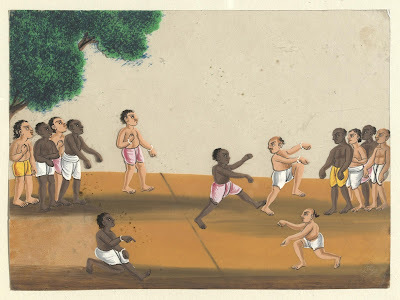 South & South East Asia Collection, Victoria and Albert Museum, 4674:1/(IS). 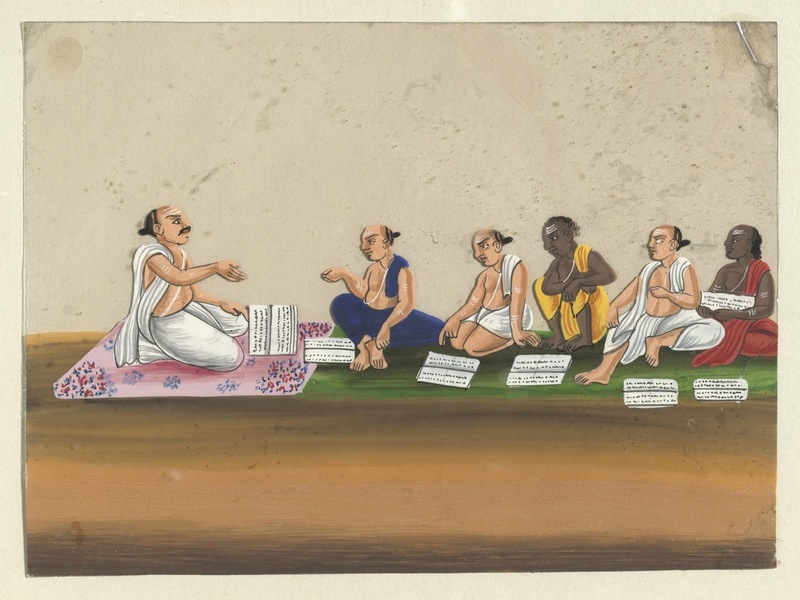 A Sanskrit school - a pandit instructing five Brahmin students. South & South East Asia Collection, Victoria and Albert Museum, 4674:3/(IS). 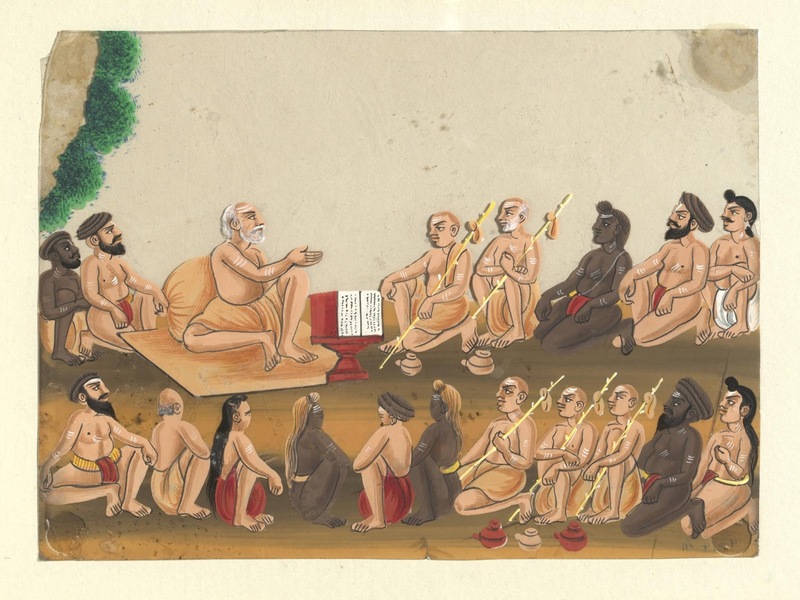 Fakirs of various sects attending a lecture on Vedanta philosophy. 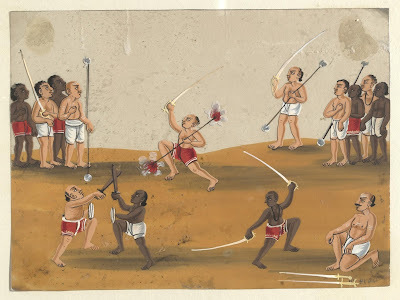 South & South East Asia Collection, Victoria and Albert Museum, 4674:2/(IS). A missionary school - some students wearing European-style trousers. South & South East Asia Collection, Victoria and Albert Museum, 4674:5/(IS). A writing lesson-a teacher with six students. South & South East Asia Collection, Victoria and Albert Museum, 4674:8/(IS). South & South East Asia Collection, Victoria and Albert Museum, 4674:11/(IS). 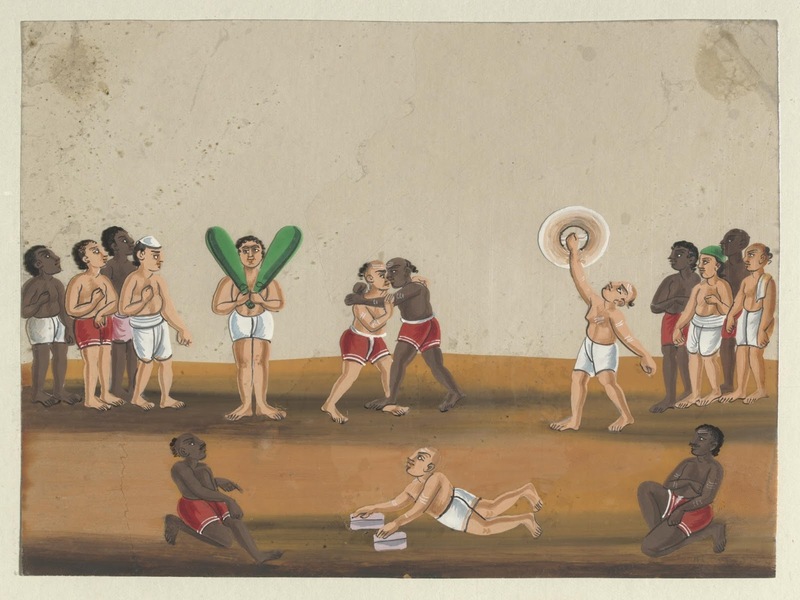 South & South East Asia Collection, Victoria and Albert Museum, 4674:4/(IS). Having wrapped the legs around the [back of the] neck and binding the back with both hands, the yogin should sleep (śayana) in this [posture]. 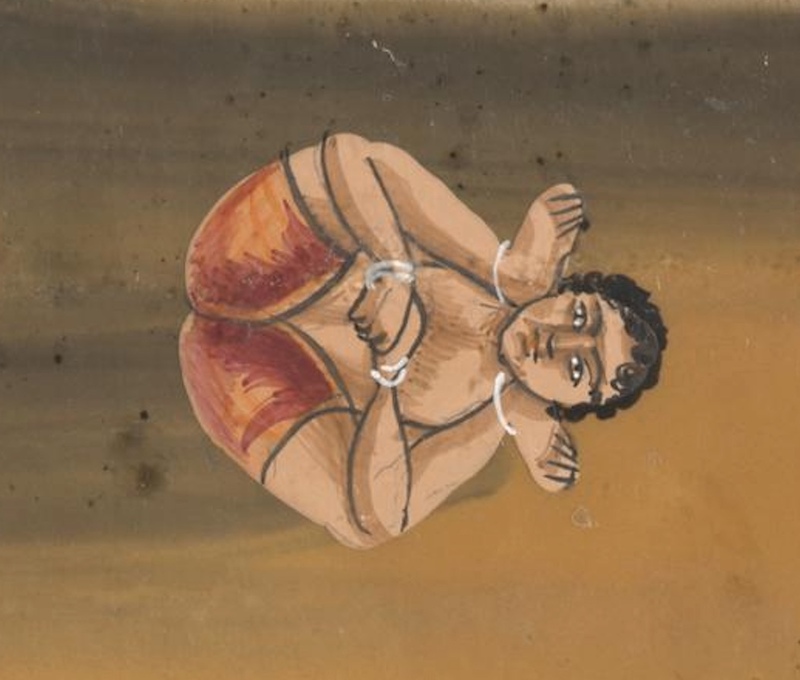 Yoganidrāsana bestows bliss. 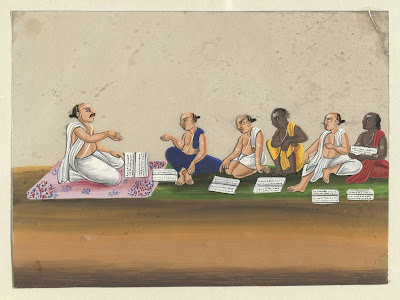 Haṭharatnāvalī of Śrīnirvāsayogī, Ed. 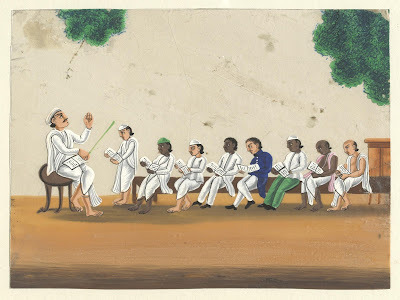 M. L. Gharote, P. Devnath, and V. K. Jha. Lonavla: Lonavla Yoga Institute, 2002.